The 2012 Hino Skills competition trophy has finally arrived at the dealership thanks to Mr Chris Ingram our in house Hino specialist who placed first in Canada. We want to Congratulate both Chris Ingram and Sergio Galdamez again for their hard work in bringing this bad boy home , Great job Guys. HINO ROCKS! Just in case you havent been into the Dealership lately we wanted to show you our new “Family of Beavers” greeting our customers as they come in the door. Stop by and say hi and see them for yourself, enjoy your day! 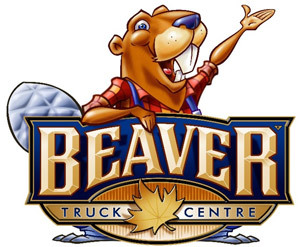 The annual “Manitoba Truckers Going the Distance” Golf Tournament in support of the Children’s Wish Foundation put on by Beaver Truck Centre is coming next Tuesday July 16th @ Glendale Golf & Country Club. We hope to see you all there! A sign of the Times ! We recently installed a new digital signboard along Oak Point Highway to show our latest Truck deals as well as parts Service specials.Take a drive by and while your around stop in for a coffee. Please Join us on Wednesday July 17th for the Hino Trucks Canada Hybrid Truck Tour , we will have the latest model hybrids on hand for you to test drive as well as a bbq lunch.